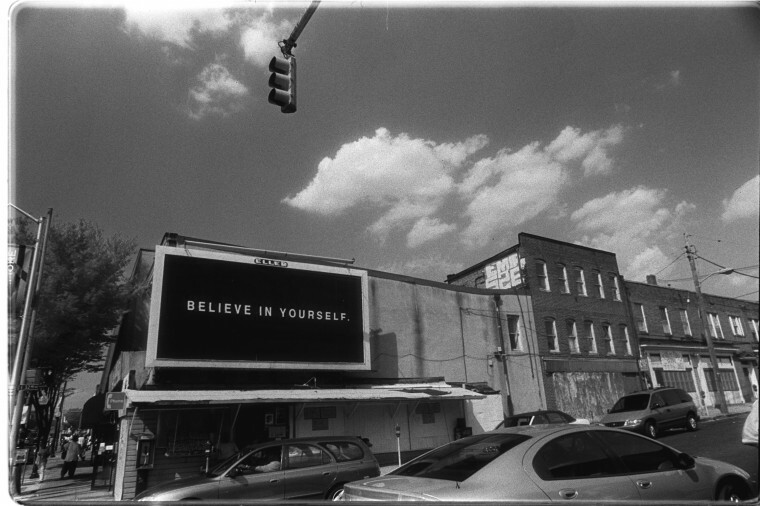 In 2002, the stark signs erected around town by Baltimore’s “Believe” campaign intrigued photographer Amy Davis. “I wondered what impact, if any, they would have on people in those communities,” she says. Using an old-fashioned camera set up on a tripod, she invited passers-by to discuss their lives and beliefs. 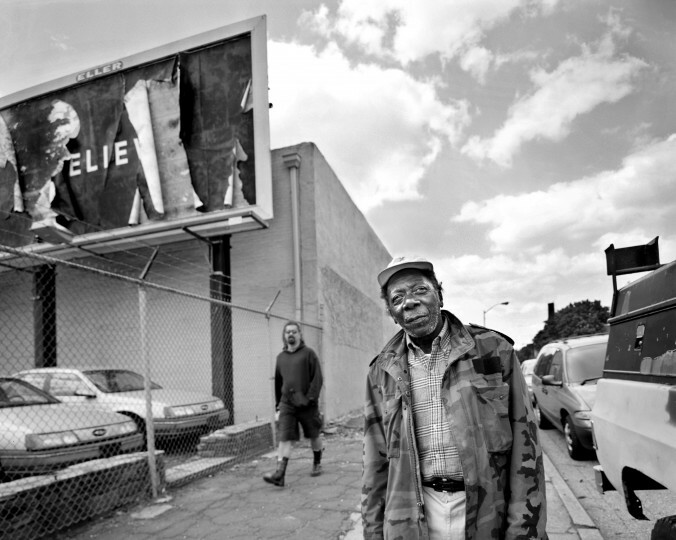 Davis: My portrait series examined what people who lived in the damaged neighborhoods where the billboards were placed felt about the ads, and themselves. 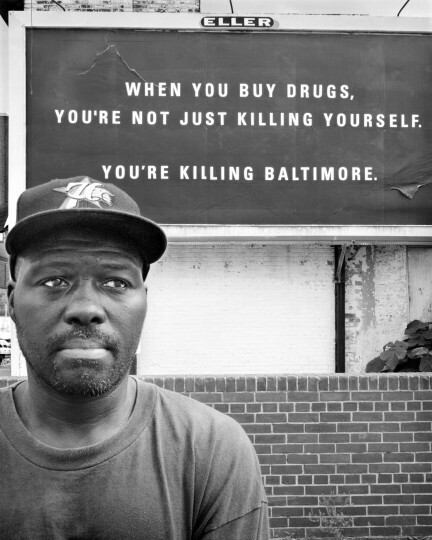 Davis: When the “Baltimore Believe” anti-drug billboards sprang up around town, I wondered what impact, if any, they would have. Rachael Brown, with her daughter, Jaide, like almost all my subjects, had an immediate family member whose life had been destroyed by drugs. The process of using a view camera on a tripod gave my subjects time to reflect, and open up to me about heartbreaking situations. 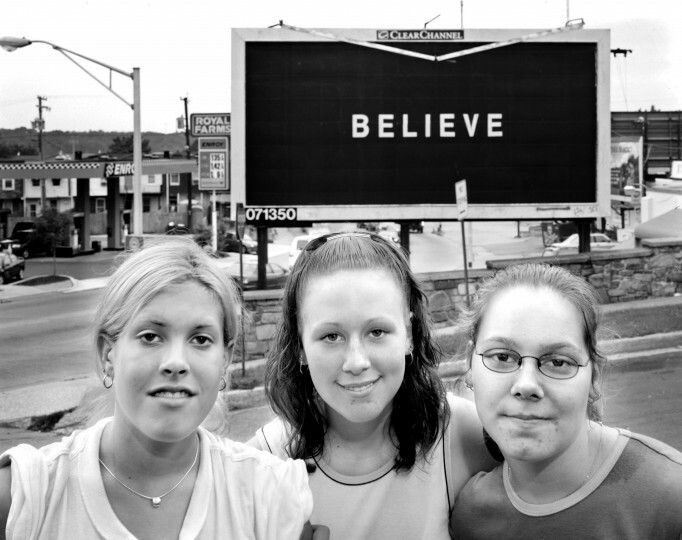 Western High school students in front of Hickory St. billboard, near 41st. St. in Medfield: Heather Heuisler, 15, Amber Maczka, and Tracey Warren. At a West Baltimore playground at the southwest corner of N. Payson St. and Lafayette Avenue, Michael Burke, 43, of Baltimore. Evin Bacon, 47, in front of billboard at 24th St. and Greenmount Avenue. 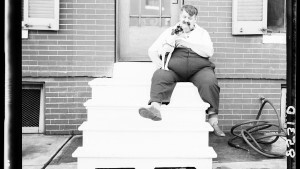 Bacon, who has lived his entire life in this neighborhood except for military service, works as a scaffold builder for Campitelli Construction. Ed Ash, 78, working in the Carroll City Farms Garden, on S. Monroe St. in southwest Baltimore. 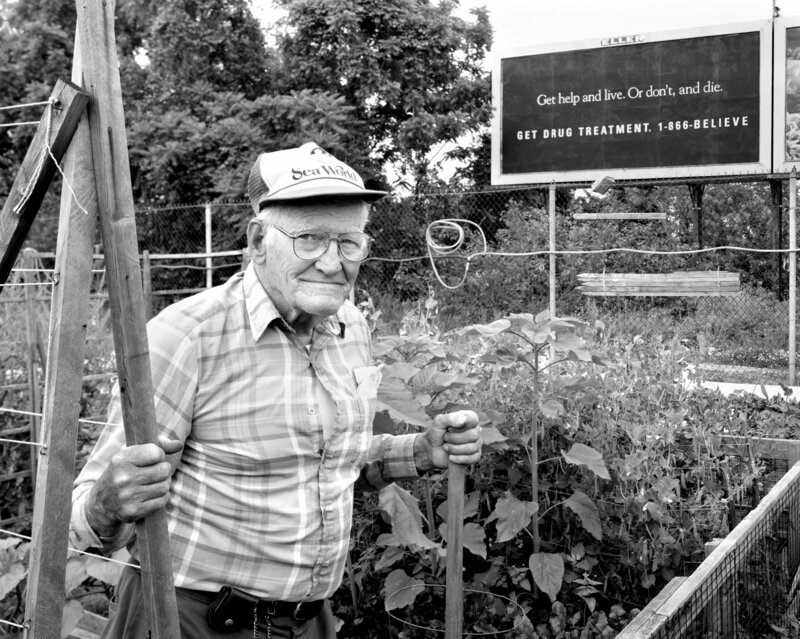 Remington Avenue, north of 29th St. Thomas Jeffries, 72, who still did some work in home improvement, has slowed down since his eyesight deteriorated. 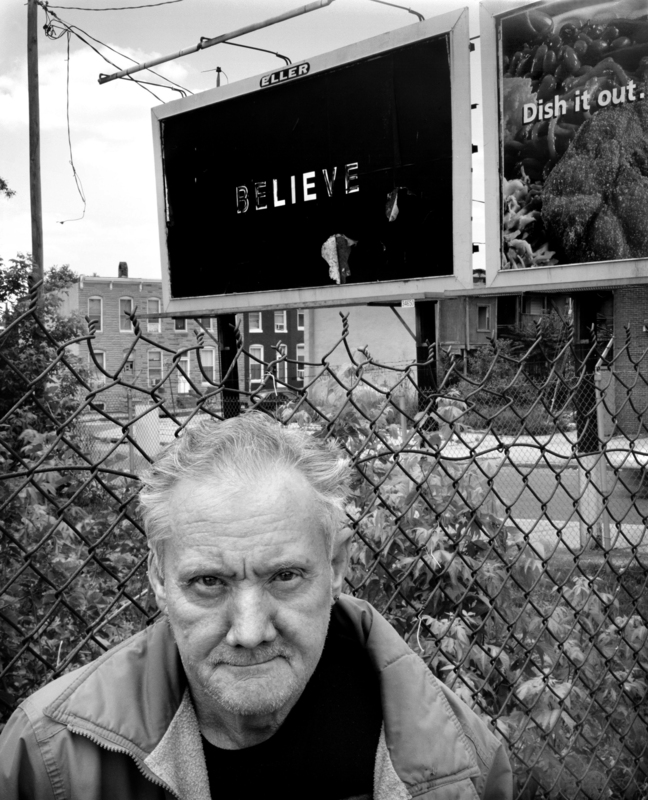 Jeffries: “I believe in God. 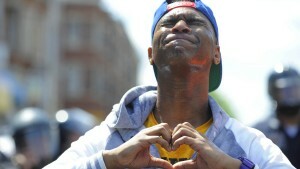 I believe in peoples. When I was a little boy in Virginia, white people and black people got along fine. 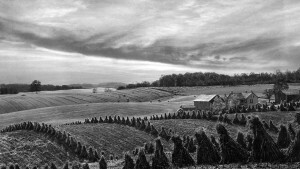 I didn’t know about Jim Crow until I came to Maryland in 1951. I drink a little liquor, smoke a few cigarettes, but don’t do drugs. I thank God for one thing. I didn’t get on those drugs. My son is on it and his wife. The only way he’s going to get straightened out is to go to Jessup. Launched in April 2002 with a series of stark billboards and television ads, the campaign was intended to raise awareness about the drug addiction that afflicted about 55,000 city residents. A report released that November on the first five months of the anti-drug campaign stated Baltimore Believe had inspired thousands to seek drug treatment, but more than two-thirds were still awaiting help. 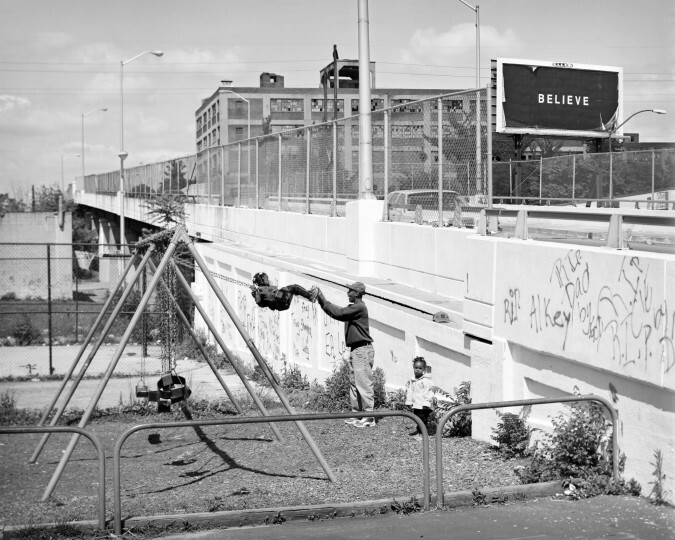 Believe aimed to convince Baltimoreans that their city could overcome the problem if everyone — rich and poor, addicted and clean — did at least one thing to fight drugs. Addicts were urged seek help. Everyone else was asked to lend a hand in some way: mentoring a child, reporting a crime, hiring a recovering addict. From April through September, the Maryland Mentoring Partnership and Big Brothers-Big Sisters recorded a 3x-increase in calls from people offering to volunteer as mentors. More than 570 people called the Believe hot line during that period to inquire about becoming city police officers. The impact on drug treatment was more mixed. Nearly 10,000 people sought treatment during that period, up from about 4,000 during the same time in the year before. But treatment slots were only found for just 28 percent. The Sun reported that the results also were uneven, mostly along racial lines, on the communication of the campaign’s central themes. 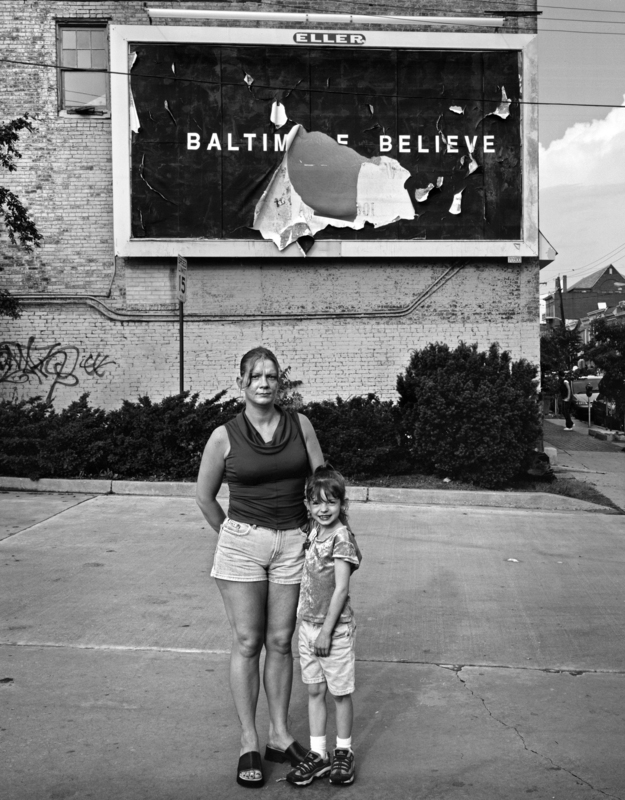 Seventy-eight percent of city adults were aware of Baltimore Believe, but blacks got the message better than whites, according to a survey of 800 residents. Many whites remain convinced that drugs were mainly a black problem, one they can do nothing about, the survey found. “Only 47 percent of Caucasians polled said they were likely to take some action as a result of Believe appeals compared with 76 percent of African-Americans,” the report said. Twenty-seven percent of whites who were aware of the campaign disagreed with its main idea — that the drug problem could be fixed if everyone in the city did at least one thing about it, the survey found. Eighteen percent of blacks also disagreed with that idea. 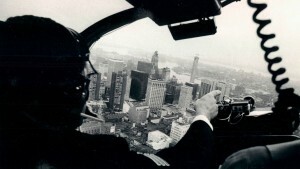 In 2001, then-Mayor Martin O’Malley expressed frustration with the business community’s response — or lack thereof — to the campaign. He called business and civic leaders to City Hall for a pep talk, and many left vowing to adopt schools or otherwise get on board. Their efforts stalled because classes were not in session, said Michael Cryor, the campaign’s other co-chairman. But he and Pinkard said they were more interested in getting businesses to make strategic, long-term commitments to the city and its schools — an effort they say had begun with earnest plans and a series of meetings. Over the last 10 years, Baltimore has now achieved the biggest overall reduction of crime in any major city in America — bigger than New York or Los Angeles. Under the leadership of Mayor Stephanie Rawlings-Blake, Baltimore, for the first time in more than three decades, reduced homicides last year to fewer than 200. Drug overdose deaths have been driven down to all-time lows. Juvenile shootings have been driven down 70 percent since 2007. Today, our Baltimore City Public Schools are posting their highest graduation rate — with an unprecedented 20-percentage-point gain in four years — and second-lowest dropout rate since we began keeping records. 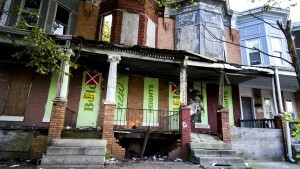 Today, Baltimore’s population decline has slowed to a rate not seen since the 1950s. And notwithstanding these difficult recessionary years, Baltimore is rebuilding again, neighborhood by neighborhood, from the inside out. These successes were not easily won. 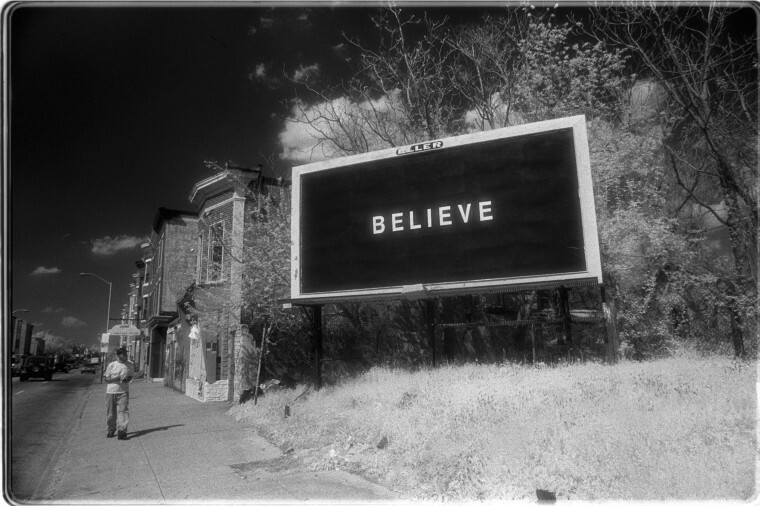 Too many Baltimore City police officers gave their lives for the hope of that safer city in which we called upon one another to “Believe.” And we are by no means done. But together, we are moving in the right direction. The Believe campaign was financed by the Baltimore Police Foundation, which was created two years prior to the 2002 campaign to raise money for police equipment, training and recruitment. The foundation raised most of its money from corporations and foundations. The donations were disclosed only in broad ranges: The France-Merrick Foundation and an anonymous donor topped the list by giving $200,000 or more; the Abell Foundation and the Harry and Jeanette Weinberg Foundation each gave $100,000 to $200,000. Other big donors include AEGON Transamerica Foundation, Allfirst, Legg Mason Inc., Macht Philanthropic Fund, Mercantile-Safe Deposit & Trust Co., T. Rowe Price Associates Inc., Bank of America, Constellation Energy Group, the Henry and Ruth B. Rosenberg Foundation and Whiting-Turner Contracting Co. 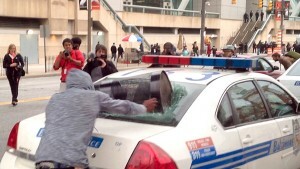 The police foundation raised $3.1 million and gave $2.1 million of that to Baltimore Believe, which was seen as “a new way to support law enforcement in Baltimore,” said Gigi Wirtz, spokeswoman for the Baltimore Community Foundation, which administers the police foundation. Linder & Associates, a New York City consulting firm, developed and implemented the campaign under a $825,000 contract. In a statement of expenses, the company said all but $175,000 of the money paid for “pass-through expenses” on which there was no markup. Those expenses cover television, radio and print media production costs, focus groups and surveys. Two Baltimore firms, Green & Associates and Sahara Communications, had contracts worth $1.1 million and $96,700 respectively to place ads. Information about the report and the campaign was initially written in November 2002 by The Sun’s Laura Vozzella.